GMK SKELETOR is officially live! 1. I just found out we are in the production schedule. We should be ready by late September. I always try to over-estimate everything. So we might actually get the set sooner than expected. We, Originative Co., will handle all payments and shipping. 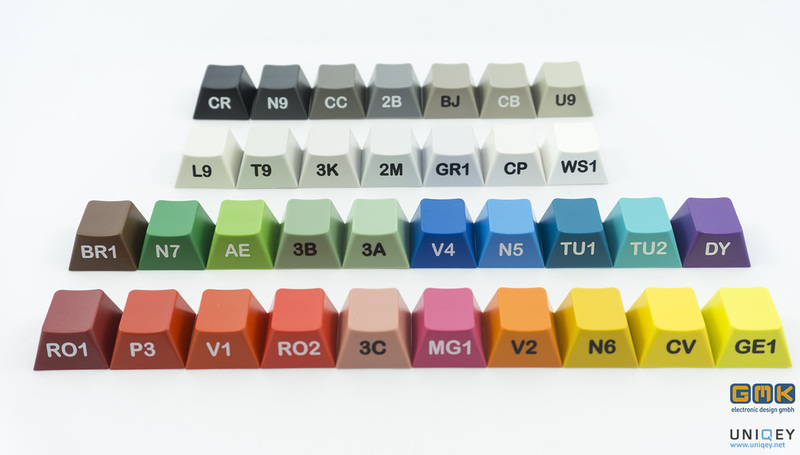 145 keys will all be manufactured and sorted by GMK. New Purple, DY, will be used along with TU2 (Cyan). Reserved - I'll be using this spot to add some more details. I have two more sticker designs I'm waiting to receive and will post them here as soon as I do. These are limited in number, so not all sets will get one. I had no idea it was going to be so limited, I'm glad I got my order in. Really excited for this one. Thanks again for putting this all together. This is only limited to 150 orders? the same question. limited to 150? Ah, I hope there's sets available by the 15th. That's when I can order. Looks amazing. No, we will probably extend it a little. Everyone should be able to get in. It has winkeyless 1800 support, just no short spacebar for winkey as the mold is broken. Believe me, I tried to get the 6u spacebar, but GMK said it was not possible. The only other option would have been super expensive SP bars since they'd have to be color matched. It has winkeyless 1800 support, just no short spacebar as the mold is broken. Oh yeah, sorry, you're right. I think it was dropped because of the lack of the spacebar. It also helps with some 75% and 65% layouts, and not all 1800s were 6x spacebar and 1x modifiers. I thought most were 7x spacebar with 1.5x mods. I'm probably going to pick it up anyways, it just won't fit my Compact SQ, but I'll find somewhere to use it. Order in! Now the real wait begins. thank you for clarifying this, i have joined in this with my two buddies. Hell yeah! Ordered... Been watching this since the IC. So glad I got in (and remembered to check the IC page)! Thank you to everyone involved! Ordered but I forgot to ask what's the policy on custom declarations. Jumped in early. I've been looking forward to this set for a while now. If it's shipped by originative they declare the full value as they are a legit company. In the IC of the Dual Tone Dyesub Sets sherryton said that we should just leave the way we would like it to be declared as in the comments. It might be similar here. The package being declared as full value has got nothing to do with them being legit or not, I've already recieved packages from maxkeyboard (who are also a legit company in my books) that were under declared, as they do not gain anything if the end customer is charged customs or not. Even in the unlikely case that the package will be opened by the customs office in the country the order arrives at, they will probably not think that plastic keycaps are worth more than they are declared at, as long as it was declared in a sensible way (just under the VAT and custom free value, in the case of Germany everything sub 23€). Now, even if they think it was declared wrongly (in the case of German customs, dunno how it is for other countries) they will only charge the end customer VAT and maybe a handling fee and not report the sender to the government (or whatever Service is responsible for that) in the country the package was sent from. Worst case scenarios are either the package will be returned to the sender or disposed of (usually both scenarios only take place if the end customer does not accept to pay the fees and VAT). The group buy is a success! Thanks to everyone who have joined! We will continue to collect payments until the 22nd. I mostly plan to make a few extra orders so we can get into the a faster production slot. That way anyone who joins late does not have to worry about joining too late. That is great news. Congrats to nubbinator for putting together a great looking set. Looks like dreams can come true. Now I just need to sell a few more things for the $$, thanks for keeping it open till the 22nd Sherryton. Great news. Now we wait for production and shipment. For now it's Troubled Minds. Soon, it will be Hana so I'll at least not have to worry too much. I'll take down the group buy officially on July 22nd. That is awesome. Thank you so much for getting this thing going so quickly. I can't wait. Getting my first two GMK sets (Carbon and Skeletor) and I could not be more excited . Just a little disappointed I didn't get in on the X60 GB. Are there new color chips for these new Cyan and Purple? I know what they older versions look like. Looks like this might be the first run of these new colors? The Cyan is still the same. The Purple is the new color. It's just a little more saturated. The color chip is DY. Nice. Looks like I'll need to find a 2nd keyboard for the kids to have a permanent home for Hana even sooner. After much mulling.. I decided I must have this. Remainder of the stickers came in today. They're not huge (about 1-1.5"), but I think they turned out great. 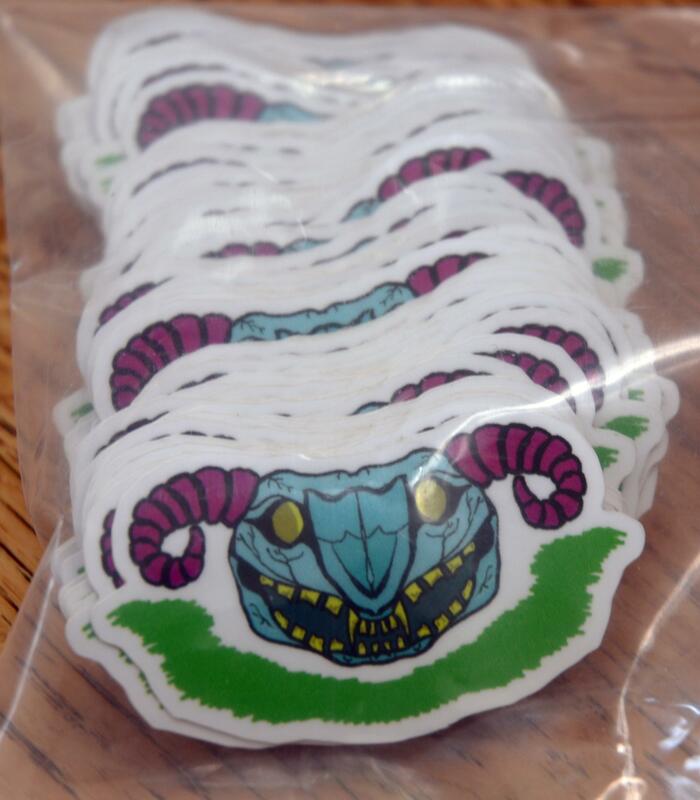 Really liking the stickers... hoping one (or three) finds it way into my order. You did a real nice job with them. Those stickers are really cool. Just another reason to be disappointed that I can't afford this set. Super stoked right now, wife just gave me the ok to spend the $$ on this even though my other stuff hasn't sold . Payday is tomorrow, I will be getting in then. 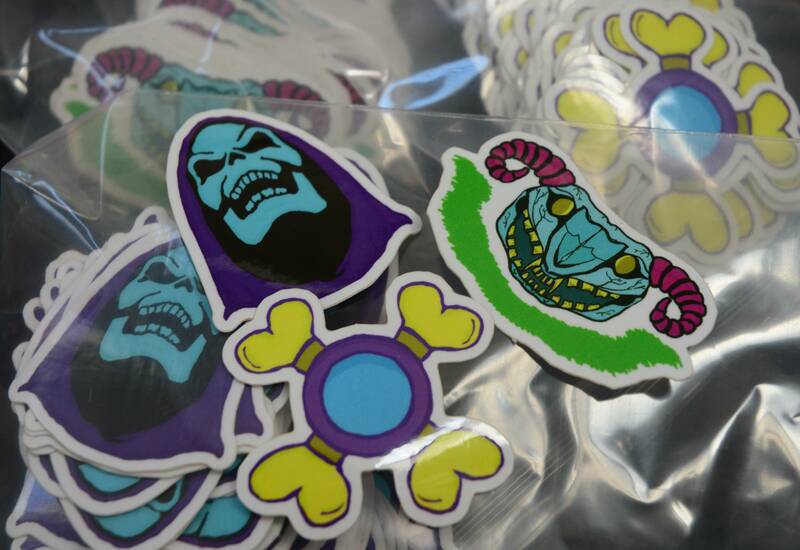 Stickers look solid. They're definitely a nice extra touch with the caps. went all out on this set. tray and purple spacebars. now to get a part time job for modern beige and carbon while they're still available. So I think this has the new colors on it. Also nice because DY and TU2 are right next to each other. I'm very excited. Nice find. This is gonna be amazing. Wow, those stickers look great! Sweet! Looks like they've got a new brown. 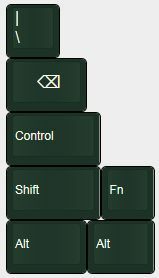 Might be able to consider a design I've had in draft for ages as GMK now. Nice to see their standard color selection growing. I see RO1 and U9 being done in the future. I'm eyeing BR1 with a couple other colors for something.